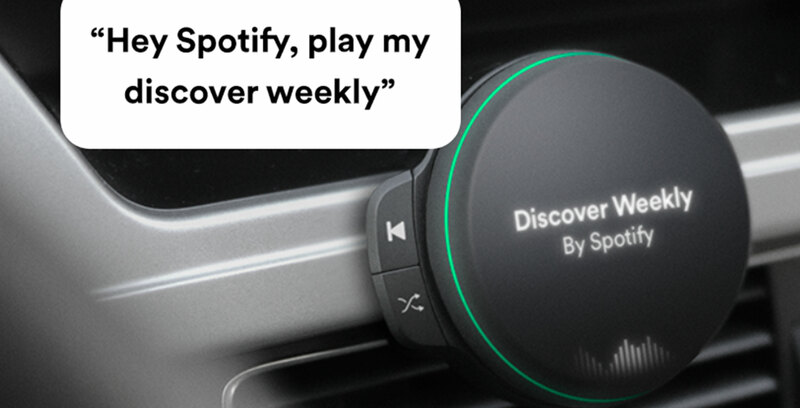 A new rumour suggests Spotify is set to release an in-car hardware device that adds the company’s music streaming platform to any vehicle. The device reportedly connects to a vehicle’s sound system using Bluetooth. According to the Financial Times, it also features hardware buttons and voice control. The device’s voice control features are expected to be an extension of the ‘Spotify Voice’ system that the company is allegedly testing. Financial Times also reported that the device will cost approximately $100 USD (roughly $132 CAD). This makes it cheaper than an in-car infotainment unit, but more expensive than a device like the JBL Link Drive or Anker Roav, which can also play music from Spotify. While interesting, the market for this device will likely be limited. Spotify recently released an update for its mobile apps that adds a ‘Car view’ setting that makes the app easier to use while driving. Spotify Voice will likely makes its way to the app as well, cannibalizing the need for a specific in-car device.